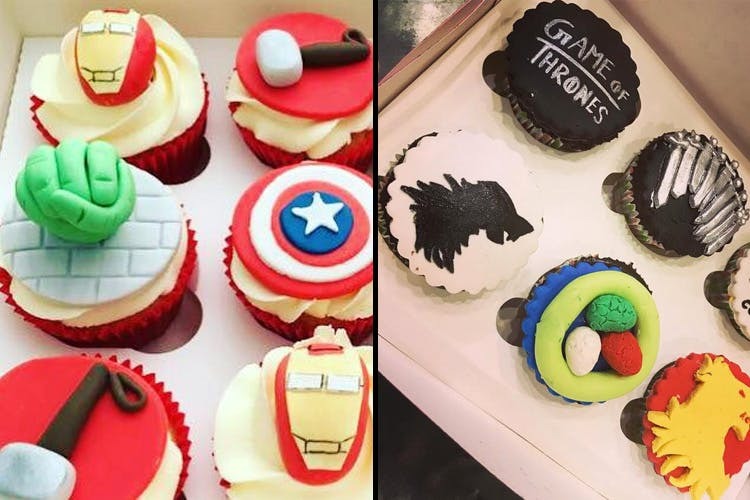 This Place Does GOT and Avengers Cupcakes & We're Obsessed! Chuck the usual truffle and pineapple cakes – Swirlls is doing customised cakes in the most fun and quirky shapes. They’ve even got gluten-free, fat free, and vegan options to choose from. After coming across Swirlls cakes, we’re convinced there doesn’t necessarily need to be an occasion for us to dig into one. Just look at that camera cake! It’s safe to say that Swirlls has got the customisation game down to the T—their cupcakes look so good, you probably wouldn’t want to go through with eating them (but you should). You’ll find Avengers cupcakes, Pokeball cakes, diamond cookies, beach-themed cupcakes with flip-flops on it, and anything your crazy mind can come up with. Everything they bake is sugar-free and eggless and they’ve got super healthy options, too, if you’re health conscious—think gluten-free, maida-free, oil-free, and vegan cakes and cupcakes. And how about cakes made out of Ragi, oats, or bran? All the goodness, none of the guilt. For flavours, you’ve got options like bubblegum, Nutella cherry, orange walnut, Rasmalai and more to choose from. Oh, and did we mention they also design hanging chandelier cakes for weddings? Yeah, we’ll have to see that one to believe it.